Kinetik Wellbeing Tens and Ems Machine review. We all know to varying degrees how annoying it can be to be suffering from aches, pains and even worse. Many people are now searching for drug free pain relief and with the advances in Tens and Ems technology it is made more possible than ever before. Here at Tens Machine Pro we love it when we find a Tens and Ems device that ticks all the right boxes and better still is endorsed by St Johns Ambulance. 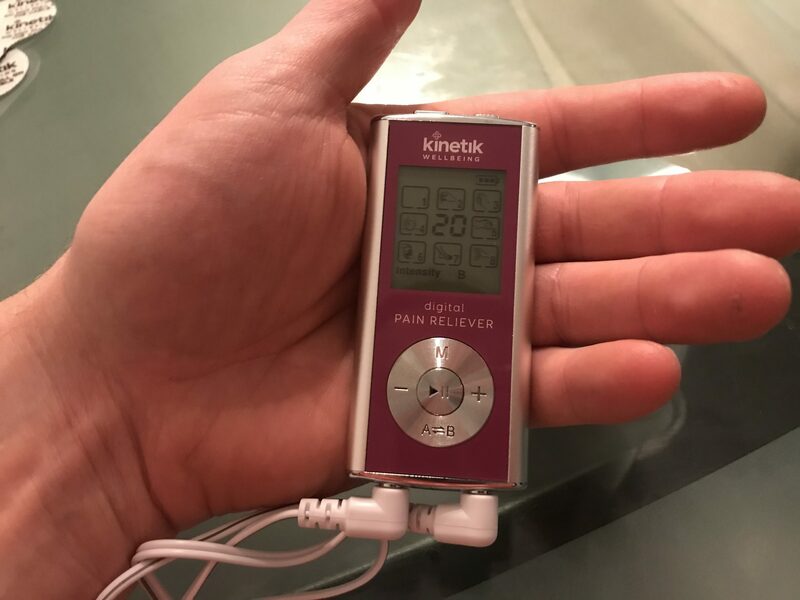 Today we are reviewing the Kinetik Wellbeing Tens and Ems Machine which is of all them things and quite possibly one of the best Tens machines UK. As you can see in the photo the actual device really is palm sized meaning that it can easily be put in a pocket to be used as discrete pain relief whilst on the go. Powered by a rechargeable li-ion battery means that you no longer have to keep stocked up on AAA or 9v batteries, also charging is done through a standard USB connection. The benefits of this is that it can be charged through your laptop, car USB port or anywhere else with a USB connection. The battery itself is more than adequate considering its size and you will get hours of continues use although constantly using it all day may be hard. Each of these different modes has 18 sensitivity settings to range from very gentle to quite powerful pulses. Through testing we found that no more than half way up the sensitivity settings was more than enough although more is there if needed. Another great feature on the Kinetik Wellbeing is that it has two output channels. this mean that each set of two electrode pads can be set independently at different strengths. This feature is very useful if you have one shoulder with worse pain than the other or you are more sensitive in one area. In our honest opinion, yes. The Kinetik Wellbeing Tens and Ems machine represents excellent value for money. You get many modes and power settings in a small and portable package that does not rely on the usual cell batteries. 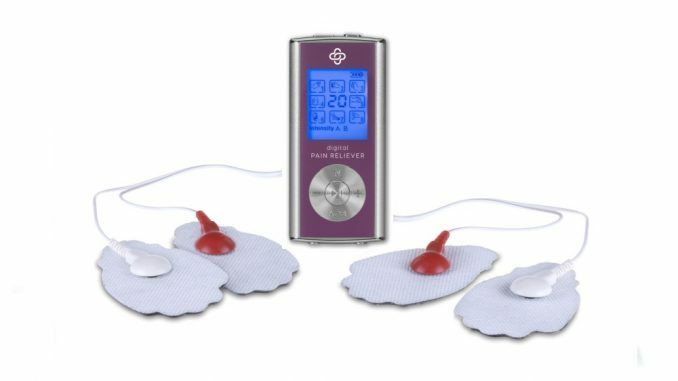 It is possibly one of the best Tens machines available in the UK and will definitely be able to help you manage and aches and pains that you are suffering from. The unit is that good that it is actually endorsed by St Johns Ambulance which just goes to show how good a product it is. This Tens machine is actually the one i use myself more than any other due to its small size but big pain relief capabilities. If you use the settings and power levels that are set out in the user guide this Tens machine will help with any of the aches and pains that you suffer from. It really is a versatile little device that can change your life for the better at what is relatively such a low price. We hope that this Tens machine review has helped you find the right machine for your needs, please feel free to leave any comments or thoughts below. If you would like to see more details about it please scroll down to the Amazon link below where you will be taken to the product page. Thanks for the review Sherrie, glad to hear that you like the Tens machine and I hope your dad has the same success as well!